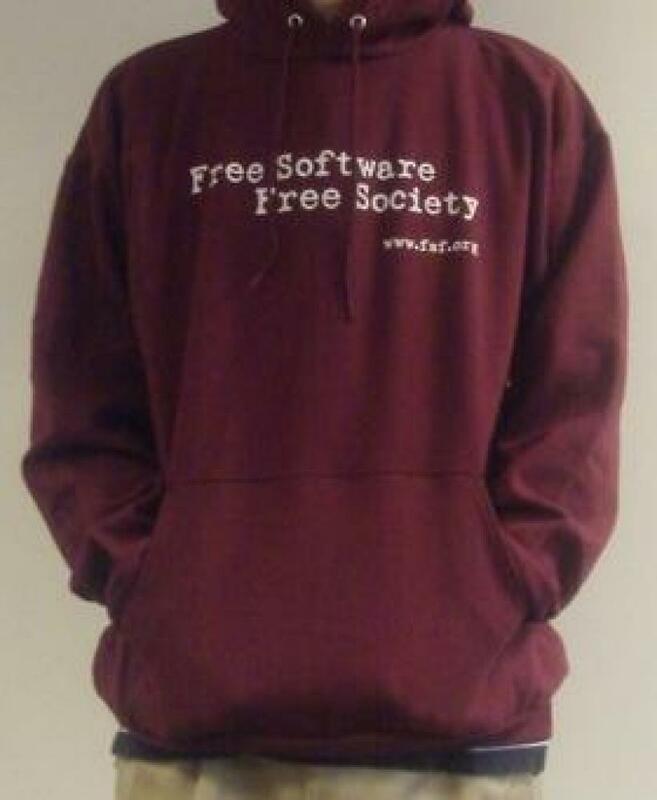 "Free Software, Free Society" reads this warm hooded sweatshirt in our signature maroon. Features a front pocket and a sturdy draw string with metal eyelets. Sure to warm you on a chill morning. When engaged, the hood is universally understood as if it says, "I am busy writing nonproprietary code and should not be interrupted".